Zildjian CYMBAL CLOCK – It’s about time! This beautiful clock is yet another great music gift item for drum players. Crafted from a real Zildjian cymbal, this shiny, brass cymbal wall clock is perfect for home or studio. 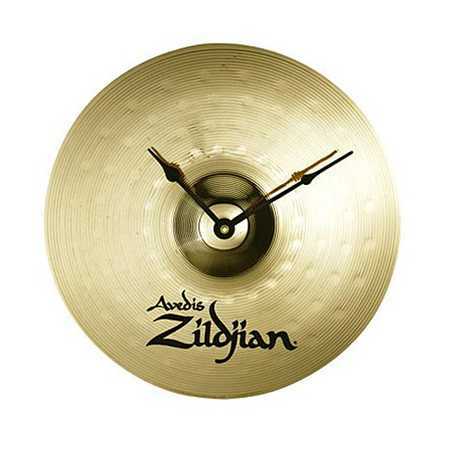 13″ Diameter / High quality Zildjian clock design. Packed in a sturdy box for safe shipping. Requires one AA battery (not included). Shipping to Contiguous USA only.